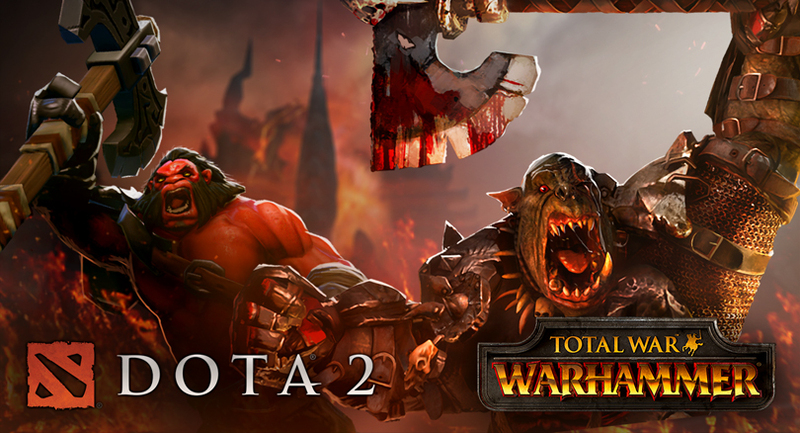 Today, the Dota 2 Workshop will begin accepting submissions for inclusion in a new Warhammer treasure, designed according to the visual themes of Games Workshop’s Warhammer Fantasy Battles universe. Because Warhammer’s aesthetics are similar in spirit to much of the Dota universe, we are looking forward to seeing all the content that Dota 2 Workshop artists create for fans in both communities. Submissions will be accepted until 10:00 a.m. (PDT) on August 22nd, 2016, and the treasure will be available for purchase on September 1st, 2016. Total War: WARHAMMER is shipping May 24th on Steam. To celebrate the release, everyone who pre-purchases the game on Steam will receive a special version of the new Dota 2 treasure on September 1st. This special version will contain visually-unique pre-order-only versions of the treasure’s Warhammer themed items. Visit the Dota 2 Workshop to submit and vote on entries. Use the “Warhammer” tag in the Dota 2 Workshop when making your submissions.